All his colleagues were very happy after his last week. 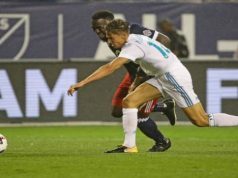 “Marcos Llorente is a professional”. “He deserved these opportunities”. “He did a great game”. 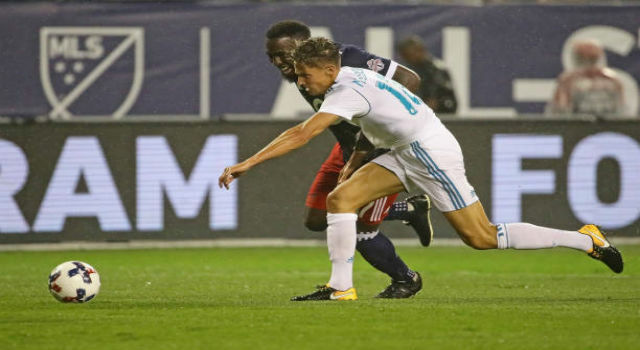 Lucas Vázquez, Dani Carvajal, Santiago Solari… all his colleagues and team mates have good words for Marcos Llorente, who has been one of the best players in the last two games after missing the whole season for technical decisions. Zinedine Zidane didn’t have trust on him. He played only 540 minutes, starting five games. This season was even worse with Julen Lopetegui and Santiago Solari. He only appeared against Espanyol 11 minutes before playing in Copa del Rey against Melilla. Then, Casemiro got injured and Solari put Ceballos as a stopper against Eibar, with a very harsh defeat as a result. The Argentinian coach rectified against AS Roma in the Champions League. 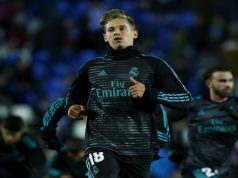 He included Marcos Llorente in the starting eleven, the only stopper he has available in the squad. And the midfielder did a great job despite not having the ideal physical conditions due to his lack of minutes. As a result of this, he played the whole game against Valencia with another good performance and no one doubts now that he can substitute Casemiro when the Brazilian is not available. He is son, nephew and grandson of great footballers. His professionalism is out of question as he has been always training very hard despite not having opportunities in one year and a half at Real Madrid. Actually, he told the journalists at the Olímpico that he was thinking on leaving the club in the winter break, most likely to go on loan to Alavés, a club he knows very well because he shone there in the season 2016/17. Now he has the chance to revert completely the situation and continue in the squad as an important footballer. Casemiro won’t be available until the FIFA World Club at the end of December. Meanwhile, Llorente will have the opportunity to show his skills and his quality.